It's difficult to describe Little Buddha at the Palms. Perhaps the best description of this Pacific Rim style food is Chinese with French influence. The cuisine is a unique, hip combination that one could expect from the Palms resort. 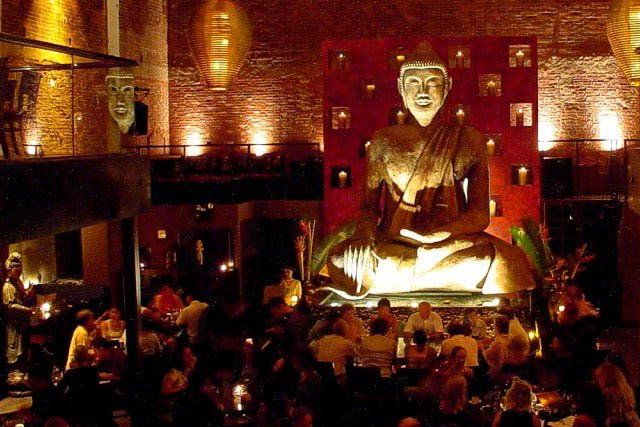 Little Buddha was inspired by Buddha Bar in Paris, hence the French twist. Regardless of its origin Little Buddha has an identity all its own as a restaurant, sushi bar and lounge. Chinese lanterns lead up to the restaurant, and as you approach you can hear the esoteric music floating out. 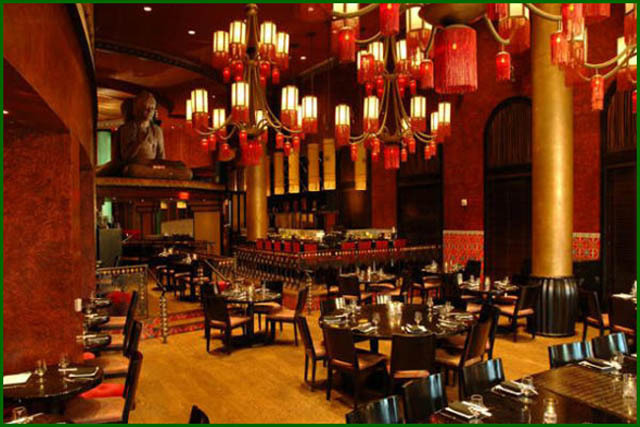 The Asian decor inside is enhanced in grandiosity by the domed ceiling. Itfs sure to put you in the mood for some Asian cuisine. There are no rules on the best way to experience the food; there are no set course meals. If you simply want an appetizer and a drink, you are encouraged to order just that. Of course, if you want sushi you can order that as well. You can even change your mind. If you canft make up your mind, order a sampler with lots of tiny portions. Youfll find such options as seafood salad, Pacific beef ceviche, Thai mango chutney, lobster with cumin aioli and more. The chef has had much experience blending the flavors of the Pacific Rim with French Mediterranean tastes and will produce a meal you wonft forget.